Item # 302085 Stash Points: 2,199 (?) This is the number of points you get in The Zumiez Stash for purchasing this item. Stash points are redeemable for exclusive rewards only available to Zumiez Stash members. To redeem your points check out the rewards catalog on thestash.zumiez.com. 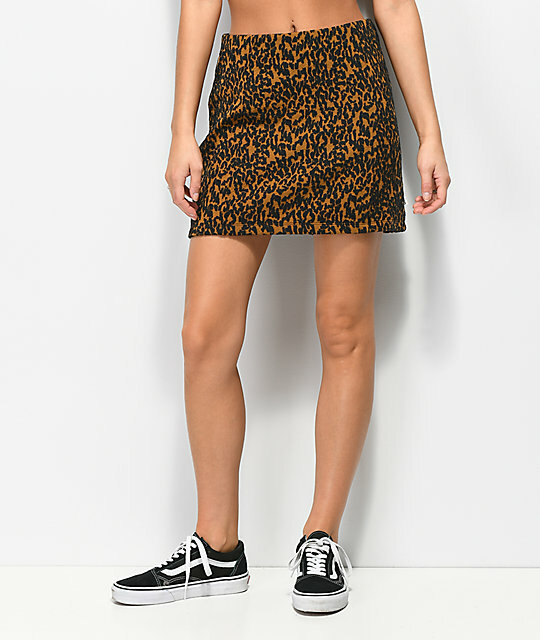 For a fun and flirty look, pick up the Dusk Leopard Jacquard Mini Skirt from Vans.This A-line mini skirt features a jacquard knit leopard print throughout for a unique look. The design is finished with a zip closure at the back waist for a versatile skirt that can take you from day to night with ease. 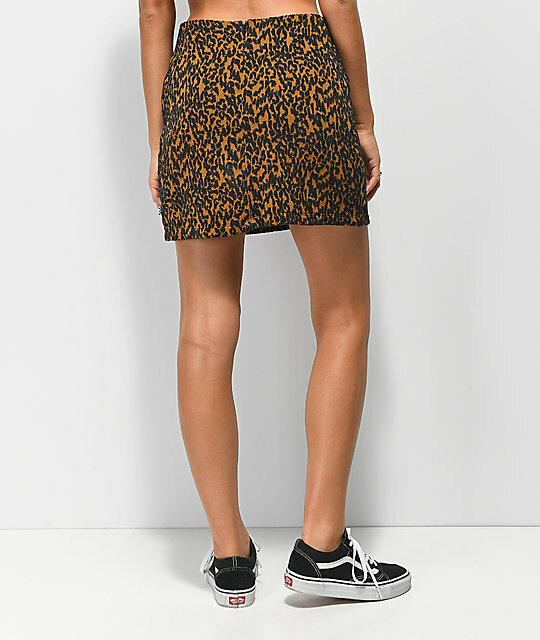 Dusk Leopard Jacquard Mini Skirt from Vans. Jacquard knit leopard print throughout. Zip closure at back waist.